It’s going to be another quiet weekend at the box office, as few wide releases are making their way to theaters. Oscar hopeful and recent Golden Globe nominee The Favourite is getting an expansion, Steven Spielberg’s all time classic Schindler’s List is getting a re-release and both Mary Queen of Scots and Vox Lux will open in limited release. That means, Ralph Breaks the Internet, Creed 2 and The Grinch are all set to have another great weekend. 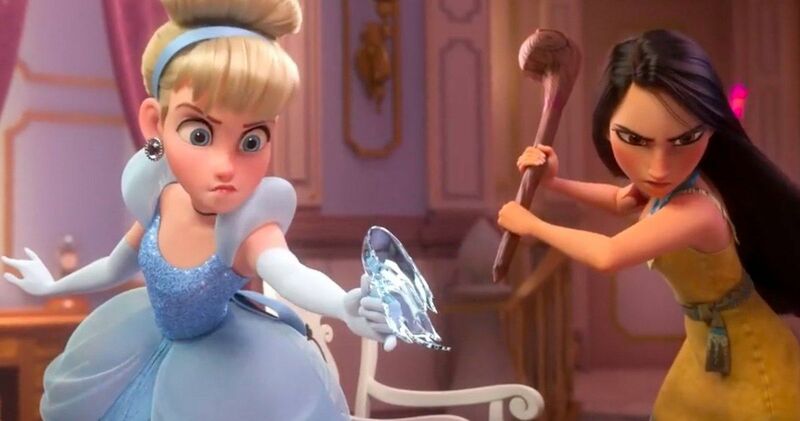 In a rare occurrence, Ralph Breaks the Internet: Wreck-It Ralph 2 is going to win its third straight box office weekend in a row with anywhere between $11 and $15 million. Though, it’s probably going to be closer to that $15 million number. Disney’s sequel has already grossed $122.3 million domestically and still has a long way to go worldwide. Safe to say, this is another big win for the Mouse House in 2018. Next up is going to be Illuminations The Grinch, which has also been raking in the dough and should add another $10 to $12 million to its growing total. The early holiday crowd has been very into Benedict Cumberbatch’s portrayal of the beloved Dr. Seuss character, as the movie has already made $206.2 million domestically, making it yet another hit for Illumination, who have been on a big roll over the past handful of years. Disney and Pixar aren’t the only game in town when it comes to animation. Creed 2 is also going to continue to roll with the punches. The sequel, and the eighth movie in the long-running Rocky franchise overall, should come in at number three with around $10 million. The well-reviewed crowd-pleaser has already grossed north of $100 million worldwide. If this is indeed Sylvester Stallone’s final go as Rocky Balboa, it’s one heck of a goodbye. The top five will be rounded out by Bohemian Rhapsody and Fantastic Beasts: The Crimes of Grindelwald. It’s going to be a close race between the two, but the Queen biopic, which stars Rami Malek as the late Freddie Mercury, has been doing great with moviegoers so far and just scored a best picture Golden Globe nomination. That could help put it just above the latest entry in J.K. Rowling’s Wizarding World, which hasn’t impressed critics. Fantastic Beasts: The Crimes of Grindelwald may have to settle for fifth place, but both movies will be in the $6 to $7 million range. Also worth looking at this weekend; both Robin Hood and The Possession of Hannah Grace are going to barely make their way into the top ten this weekend, making them bobs for Lionsgate and Sony, respectively. Though, The Possession of Hannah Grace didn’t have a $100 million price tag like Robin Hood. Also, for those who are looking to get into the holiday spirit in a less traditional way, Anna and the Apocalypse is expanding this weekend, to meet your zombie Christmas musical needs. Be sure to check out our full of weekend box office predictions below and check back with us on Sunday for the top ten estimates. These numbers were provided by Box Office Mojo.